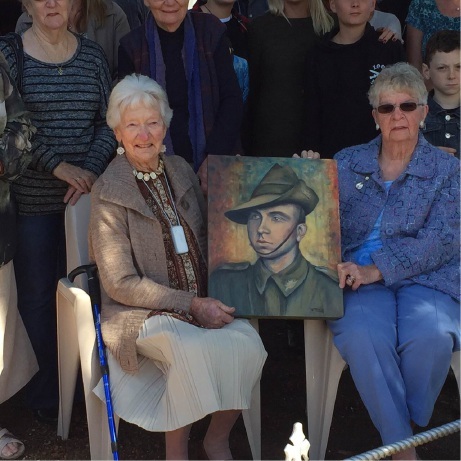 Above: Peg Thorn and Georgina Kosteszyn with a painting of Andrew Capps. 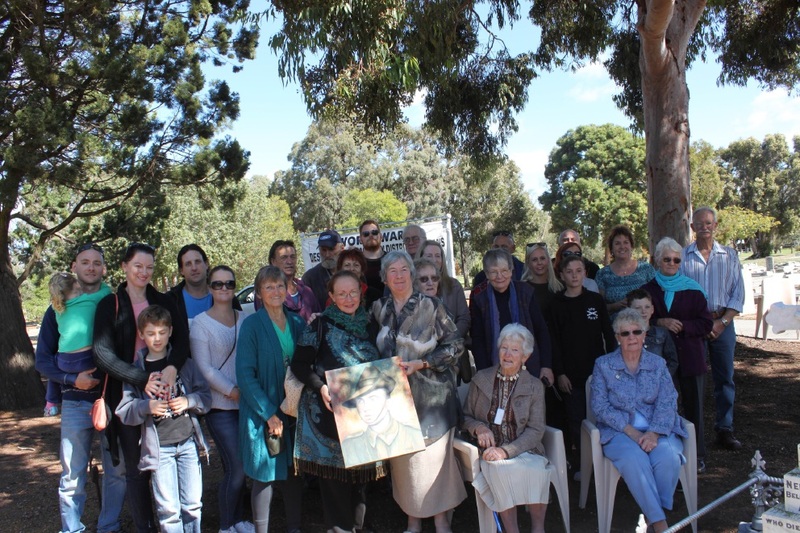 Top left: Descendants of the Capps family gathered at |Pinjarra Cemetery for the memorial service. THE 100-year old gravestone of Pinjarra woman Nellie Francis was in a derelict state in Pinjarra Cemetery before it was discovered by the Shire of Murray’s Allison Wakeford. Ms Wakeford had often wondered about the site, but what intrigued her most was an additional inscription on the side of the headstone. Killed in Action 2 May 1915 aged 27. Some Day We Will Understand. She contacted Pinjarra RSL president Mick O’Donnell for help and hoped the RSL might perhaps take on a project to restore the gravesite. After enlisting on September 10, 1914, Corporal Arthur Capps, 16th Battalion, (also known as Andrew) was one of the first two Pinjarra soldiers killed in action in Gallipoli on May 2, 1915, just 19 days after the death of his sister, Nellie Francis, in Pinjarra. Andrew, one of Pinjarra’s World War I heroes, is actually buried at Quinns Post Cemetery in Gallipoli and remembered on the Pinjarra War Memorial. Pinjarra RSL members Steve Fanetti and Brian Flatman took on the restoration effort in time for the Anzac Commemoration, while John Powell, of J and D Stained Glass, helped with cleaning the headstone and repair of the lead lettering. 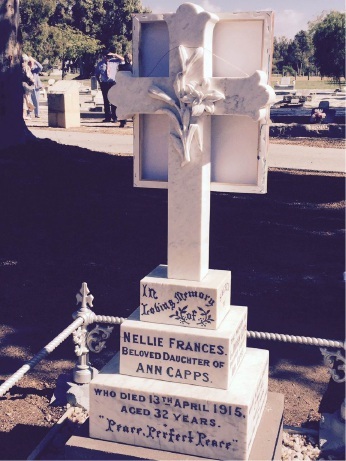 The restored gravesite was unveiled in April last year, exactly 100 years after the death of Nellie Francis. Last week, descendents, many of whom had not seen each other for many years, came from far and wide to a memorial service for Andrew Capps at the cemetery and later held a family reunion at Pinjarra RSL hall. “How proud Andy would have been to think his grave and the memorial have been restored,’’ great-niece Maureen Capps said.